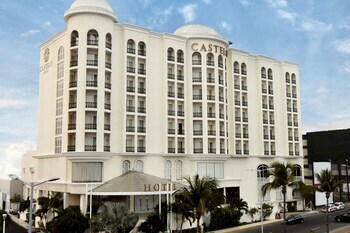 When you stay at Castelo Hotel Boca del Rio Veracruz in Boca del Rio, you'll be connected to the convention center, just steps from Plaza Las Americas Shopping Mall and 13 minutes by foot from World Trade Center Veracruz. Featured amenities include a 24-hour business center, express check-in, and express check-out. Planning an event in Boca del Rio? This hotel has 2920 square feet (271 square meters) of space consisting of conference space and meeting rooms. Free valet parking is available onsite. Located in Crucecita, Casa Shaguibá is within a 10-minute drive of Chahue Beach and Marina Chahue. Featured amenities include a 24-hour front desk and multilingual staff.